Eating Right with Dr. Ro | New Growth Hair Magazine | We capture the culture of urban barbershops and beauty salons. Dr. Rovenia Brock a.k.a. 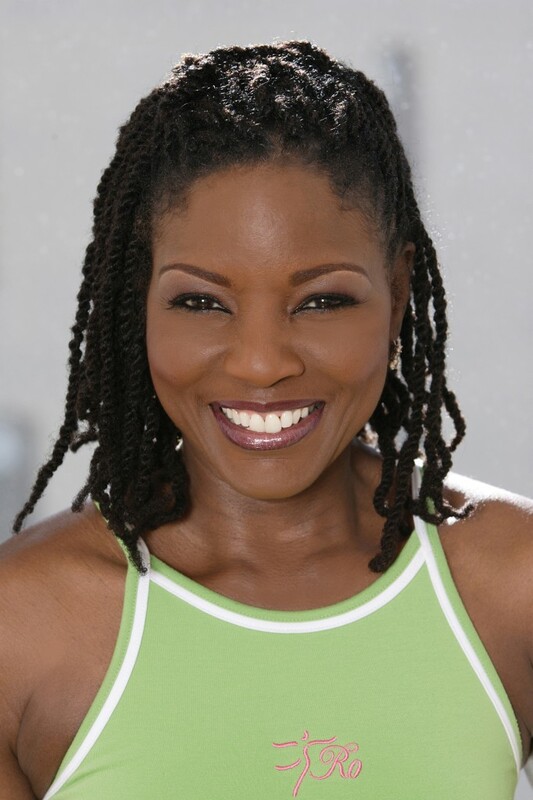 Dr. Ro, is an award-winning nutritionist, fitness expert, media personality, and author of Dr. Ro’s Ten Secrets to Livin’ Healthy and You Healthy & Happy. You’ve probably seen Dr. Ro on The Today Show, Dr. Oz, Anderson Live, and BET’s Heart & Soul. Dr. Ro’s message for American-American women is that you don’t have to be French or white to be thin. Dr. Ro says “her black sisters are facing a serious health crisis due, in part, to misguided cultural attitudes and biases about body image, food, and health. As a nine-year old girl, Dr. Ro watched her mother die of stomach cancer and struggled with her own weight throughout her early adulthood. Dr. Ro understands where black women are coming from when it comes to dieting and healthy eating. Phillips: What type of dietary changes do people need to make to lose weight? Dr. Ro: The magic bullet for weight loss is to cut calories. The simple way to cut up to 500 calories a day without making any drastic changes is to make a point to leave food on your plate. It sounds simple but it’s not. During childhood, many of us were told that we have to eat everything on our plate because there are starving children in Africa. All of the children in Africa aren’t starving but if you are that concerned about starving children, make a donation! Step one is to the leave food on your plate. Next you can cut your calories in half by cutting your portions in half. That means whatever you ate yesterday, eat half of it today! So if had a foot long Steak & Cheese Sub yesterday, today you will only have a six-inch sandwich. The goal is to leave food your plate by cutting your portions in half. Phillips: What foods can women eat to help during their monthly cycle? Dr. Ro: The meal plan for a woman doesn’t totally change because of her cycle. We may have to make one or two dietary changes because we lose iron during our cycle. I recommend a meal plan that includes the following: colorful vegetables and fruits and lean proteins such as beef, chicken, or fish. Each meal should include at least 50% of colorful fruits and vegetables and 25% of lean proteins. The lean proteins are essential for replenishing the loss of iron. Also, if you chose to eat red meat and your budget allows, I suggest eating grass-fed organic beef which is leaner and is free of growth hormones. For those women who don’t eat beef, they can replace the beef with beans or fish as a protein source. The cooking method for your vegetables, beef, and fish should be baked, broiled, roasted, steamed, or sautéed (with Olive Oil). Phillips: What types of foods promote hair growth? Dr. Ro: A B-vitamin called Biotin will promote hair growth and is also good for skin and nails. We put lotion and potions on our body, skin, hair, and scalp expecting results but to improve the integrity of your skin, hair, or nails, the best results are achieved when you improve what you put into your body. This means eating a diet rich in fruits, vegetables, lean proteins, and whole grains. Colorful fruits and vegetables are important because they contain compounds in the pigment of the colors that protect you from disease and improve the integrity of your skin, hair, and nails. In addition to using hair oils on your hair, you must support your body internally with nutrition. I grew hair on a bald spot in my head from a bad perm with my own concoction of a variety of oils such as Vitamin E, Rosemary Oil, Thyme Oil, and other essential oils. What started out as peach fuzz is now is a long Loc. It’s important to hydrate your body (which includes your scalp) by drinking half of your body weight in ounces of water. So if you weight 160 lbs., you should be drinking 80 ounces of water per day. Drinking flushes out fat and impurities in your body which helps you lose water weight. Phillips: Can food or beverage choices affect skin conditions like acne? Dr. Ro: Eating lots of fatty foods, foods that contain high sugar content, processed foods, and foods that are deep fried can result in acne. If someone has a severe acne condition, I recommend water as opposed to sugary drinks. If you like juices, make your own because many of the juices available in the major grocery stores have high sugar content. Many of the processed juices made from concentrate have 20 or more grams of sugar (per serving), which won’t help your acne condition. Eating whole unprocessed foods are much healthier. Stay away from food in a box, a bag, or in a can. As you move away from eating processed foods and begin cooking more of your own food, I suggest baking, roasting, or steaming vegetables and proteins with light Olive Oil. Also, eating fried foods clogs your pores and contributes to acne. Phillips: Can people really find healthy fast food? Dr. Ro: I recommend that everyone have a calorie budget for each day. It’s similar to a budget that we have for our personal finances. If you go over your budget, you will end up broke by the end of the month. The calorie budget is dealing with food instead of money. So when you walk into McDonald’s or Wendy’s, you have to think about how each order will affect your calorie budget. If you have a 1,200 calorie daily budget to lose weight and the menu at McDonald’s says your favorite meal is 960 calories, then you only have 240 calories left for the rest of the day! If you decide to eat fast food, order the salads, chili, and the baked potato. If you are trying to lose weight, skip the bread! Don’t have an extra value meal with the large fries, consider ordering from the children’s menu because the portions are smaller and there are fewer calories. Be very careful at the chain restaurants with the low calories count meals on their menu because sometimes the menus are misleading. My rule of thumb is to order the meals with proteins, vegetables, and salad as opposite to the pastas and carbs. Phillips: How important is fiber in our diet? Dr. Ro: Fiber is very important. There are two types of fiber: soluble and insoluble. Soluble is the type that’s found in the skins of apples, oats, beans, and whole grains. Insoluble fiber is in the husk of seeds and moves foods through the digestive tract more easily. In simple terms, it’s going to cause you to visit the restroom more often. Soluble fiber really makes your arteries more supple and protects you against heart disease. When you have both protein and fiber during a meal, you feel full longer for longer periods of time. Phillips: Any closing comments, Dr. Ro? Dr. Ro: Thank you for allowing me to share my expertise with your readers. In this country, we are facing a health crisis. By 2020, more than half of Americans are projected to be overweight. With that said, I invite your readers to join my social media community (Twitter, Facebook, and Youtube) and by visiting www.everythingro.com so that we can come together to eat healthier and live longer. If you readers are interested in more health tips, keeping track of their health, weight loss, how to lose belly fat, and how to become healthier and happy, then I encourage them to purchase my e-book entitled You: Healthy & Happy, which is available on Amazon.